CNAs gain patients’ confidence by demonstrating their commitment to the safety and well-being of the people they serve. A good memory and the ability to think on your feet and stay on top of your duties are essential to your success. 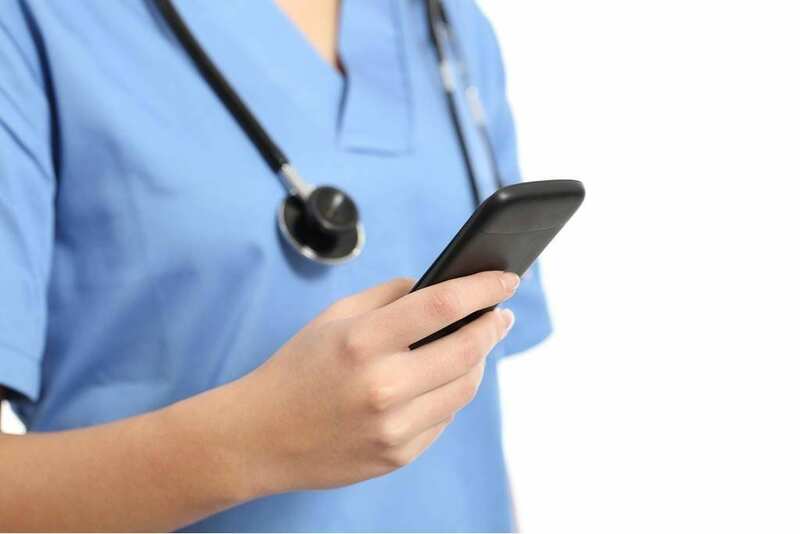 If you own a smartphone, nursing apps can help you improve efficiency and cover all of your patient care needs. Apps are essential for communication and are handy for recalling and referencing medical information. For CNAs and nursing students, nursing apps can boost confidence and make light of complicated principles. Following are 7 great apps you can use as a CNA, but they’ll also take you through nursing school and all the way through your career as a licensed practical or registered nurse. WebMD’s Medscape app is one of the leading resources used by healthcare professionals. Everyone from physicians to nurses and EMTs benefit from the huge database of drugs, diseases, images, and videos. The app features up-to-date and accurate information as an independent team of physicians and pharmacists regularly review the content. As a CNA, you can use the app to reference medical terms, common brand name and generic drugs, and medical conditions. It will serve you well as you advance to a career in nursing or other professions in the medical industry. The app is compatible with iOS 5.0 or later and Android systems. It also works with KindleFire. Content is viewable online or may be downloaded for easy access without an internet connection. Although the app is free, users must register for an account to access the information. If you’re passionate about patient care, this is one tool you must have on your smartphone. The Human Anatomy Atlas is as stunning as it is useful for students of human anatomy. It features over 4,600 3D images of the human anatomy and structure. The app was created by anatomy visualization experts and extensively reviewed by industry professionals for accuracy. The app is simple enough for introductory work but packed with information to appeal to the advanced student. The 3D animations may be used as visuals when communicating details of normal body functions and common ailments to patients. The models include the structure name, Latin reference, anatomical grouping. Over 1,200 built-in quizzes will help you test your knowledge of muscles, bones, and other parts of the human anatomy. The app costs $24.99 and is available for both Android and iOS. Mini Nurse covers the basics of nursing. Therefore, it is a great app to have as a CNA, especially if you plan to make a career out of nursing. The app covers medical abbreviations, medical terminology, medical suffixes and prefixes, dosage calculations, and a host of other topics that will boost your confidence and keep you motivated in the amazing world of patient care. You’ll use the app daily to look up information and get reminders about the procedural steps covered during your nursing education. 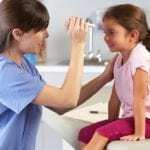 While the app is a get resource for CNAs and new nursing students, the information may be too basic for seasoned nurses. The Lite version of the app is free with an option to upgrade for additional features. Mini Nurse is available on Android platforms only. Nursing Central may be a bit much if don’t plan to make a career out of nursing. But if you love caring for others and plan to enroll in nursing school to become a registered nurse, the Nursing Central app from Unbound Medicine is a worthwhile investment. The app is an all-in-one clinical solution for student nurses and nurse professionals and features a dosage calculator, drug information for more than 5000 medications, and a dictionary of more than 65,000 medical terms. It also includes information that will help you interpret laboratory and diagnostic tests, current industry news, access to journals and the MEDLINE/PubMed database. At a cost of $169.99, Nursing Central is pricey. But you can try the free version, which gives limited access to almost all the features. It’s an excellent opportunity to determine if the app is right for you. The app is available for iOS and Android systems. The Skyscape app is another premium app that is available exclusively on the Android platform. Its features are all-inclusive, valuable to medical professionals and students alike. It falls into the category of a general reference app that you’ll use as a student and throughout your profession. From multiple calculators to MedWatch, and clinical information on thousands of topics, there’s a lot you can do with the free version of the app. However, you can upgrade for premium features, which include in-app purchases and access to Skyscape’s publisher partners. Skyscape is available for Android and iOS platforms. Preparing for the next step in your career? It’s never too early to begin preparing for success on the NCLEX-PN or NCLEX-RN licensure exam. NCLEX Mastery has a full version (available as an in-app purchase) that comes with a money-back guarantee. It covers 1,600 NCLEX questions with illustrations, answers, a timer for each question, test statistics, strategies for studying, and more. You can try out the interface with the free version and upgrade closer to the time when you’re ready to take the exam. The full version costs $29.99 with a money-back guarantee if you fail the exam. NCLEX Mastery works on both Android and iOS platforms. Evernote is not specifically designed for the medical field, but it is one of the most useful apps you’ll ever use on your mobile device. It’s great for taking notes on the job – because nurses are always learning. You can write your notes, clip information from web browsers, or use dictation. The best part is that the notes are synced across all your devices where the Evernote app is installed, including your tablet and desktop computer. You’ll use Evernote for everything in your personal and professional life. There’s a lot to explore and use in the free version, but you can upgrade to a monthly or yearly prescription for premium features.